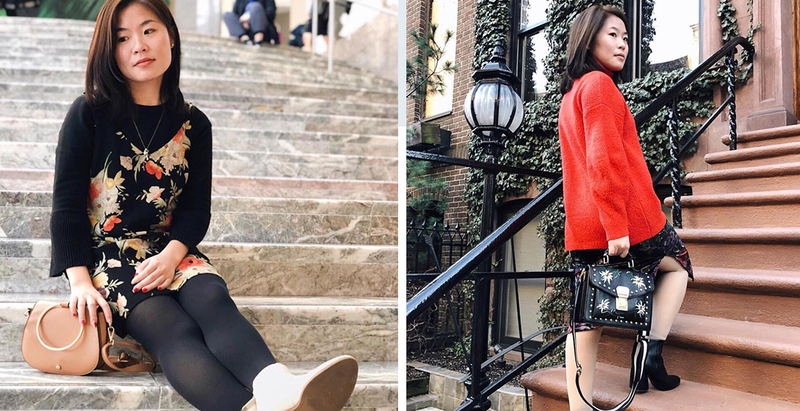 Travel buff, LT loyalist and all-in-all fashion lover, Jessica Kuang is a NYC-based hospital safety advisor. Jessica has explored 31 countries so far (Switzerland, Norway and Italy are her top three) and likes to shares her adventures on @peachytravels. We spoke to her about travel and style. Excerpts from a chat. I love how quick and easy it is to refresh your wardrobe with a new box of clothing and accessories. My personal style tends to be more business casual, feminine and girly. Since I’m petite, I’m constantly seeking out new looks that would work best for me. And what are some your favorite tricks to flatter your petite frame? The most important trick is to stay away from baggy clothes since they can make you look even tinier. Don’t be afraid to wear maxi dresses; maxis actually elongate your figure. I’ve also learned that cropped/cuffed jeans and trousers are a great leg-lengthening trick. As an avid traveller, what are the top five things you keep in mind while packing for a trip? Check the weather of the place you’re visiting. Coordinate your separates so your outfits look more put together. Pack fabrics that are less prone to wrinkles. Include accessories to mix and match. This helps creating more outfits with less. And finally, pack light so you can save space for souvenirs and other things you might buy on the trip. Inspired by Jessica Kuang’s Le Tote looks? Become a member here!